This year’s Halloween Party was a great success! 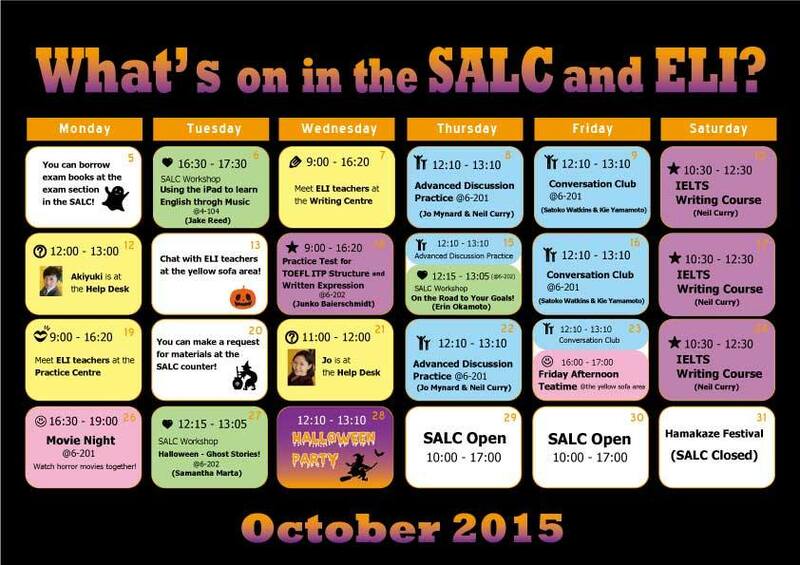 Have a look at the photos posted on Facebook by the SALC Student Committee (SSC). 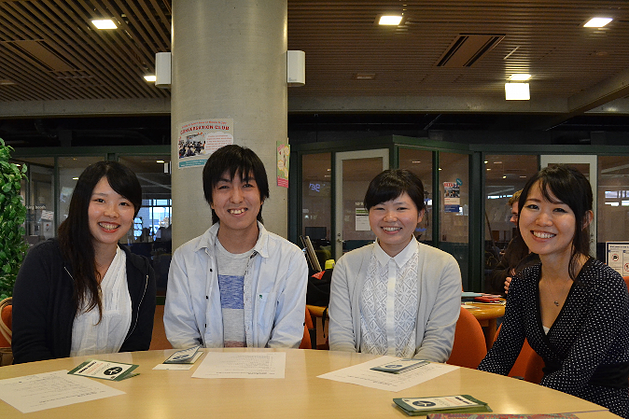 Earlier this month, three KUIS students (Aoi, Shinya and Chiaki) and their teacher Satoko Watkins (who is also a SALC learning advisor) were interviewed about a class project they did about the Polyglots reading app. You can read the interview (in Japanese) here. 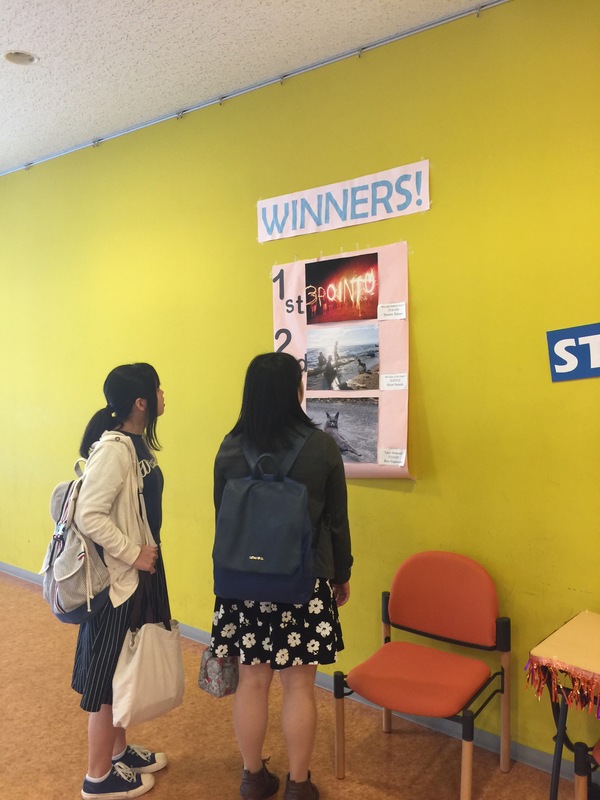 Our SALC student staff recently organised a photography contest. The winners were chosen after a vote. Please come and take a look! We would like to extend a big thank you to our guest presenters Kay Irie and Stephen Ryan who visited KUIS last week to give a presentation on Psychology in language learning: New directions in theory, research and practice. As a follow up, you might be interested in taking a look at the following resources. Three KUIS students recently created discovered the reading app ‘Mondo‘ and decided to include it in a class project designed to recommend resources and learning strategies to their peers. 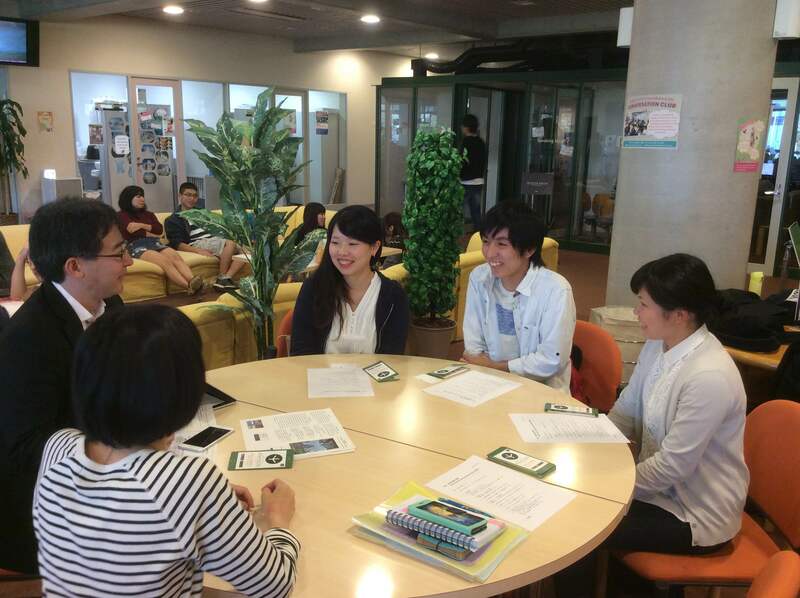 Polyglots, the Japanese company who designed Mondo, were so impressed with the students’ work that they visited the SALC this week to meet the students and interview them for the company blog. You can pick up the leaflet that the students designed in the SALC. Feel free to let your students know: All welcome!